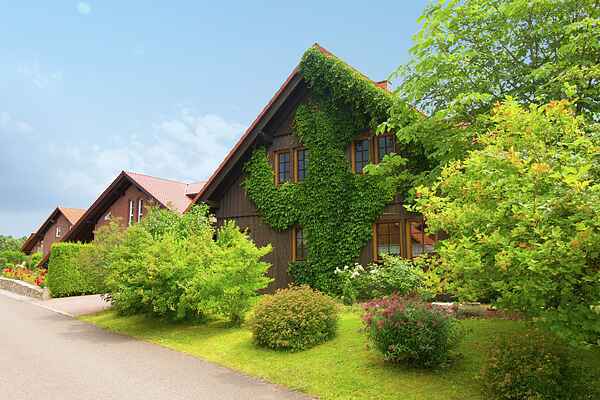 This detached holiday house, which has been fully renovated, is located in the middle of the Kellerwald-Edersee nature area. Come enjoy a relaxing holiday far from the hustle and bustle of hectic daily life. A modern holiday house with a country design is waiting for you. In addition to four bedrooms, the house offers a large open-plan kitchen, a living room and two separate bathrooms. There is also a large exterior terrace with garden furniture at your disposal. This wooden house is positively bursting with feel-good character. The generously sized rooms let you enjoy a pleasant and relaxed stay even when staying with multiple people. There is parking at the house. The terrace and the large, fully fenced garden with a garden pond (separately enclosed) offer undisturbed privacy. Whatever the season, you will find everything you're looking for in the surrounding area and the region around the house. Guests will find a leisure and holiday paradise round the Edersee. With options for hiking and cycling through the many forests of northern Hesse, as well as numerous attractions and amusement parks, you can expect a stay filled with great activities. In particular, the winter sport areas of Willingen and Winterberg are close by (about 25 km) and offer ideal conditions for winter sport enthusiasts. Favourite daytrip destinations: Subtropical swimming paradise (20 km), corn maze (9 km), outdoor swimming pool (9 km), summer toboggan run (15 km), Herfurth Zoo (25 km), climbing park (20 km).